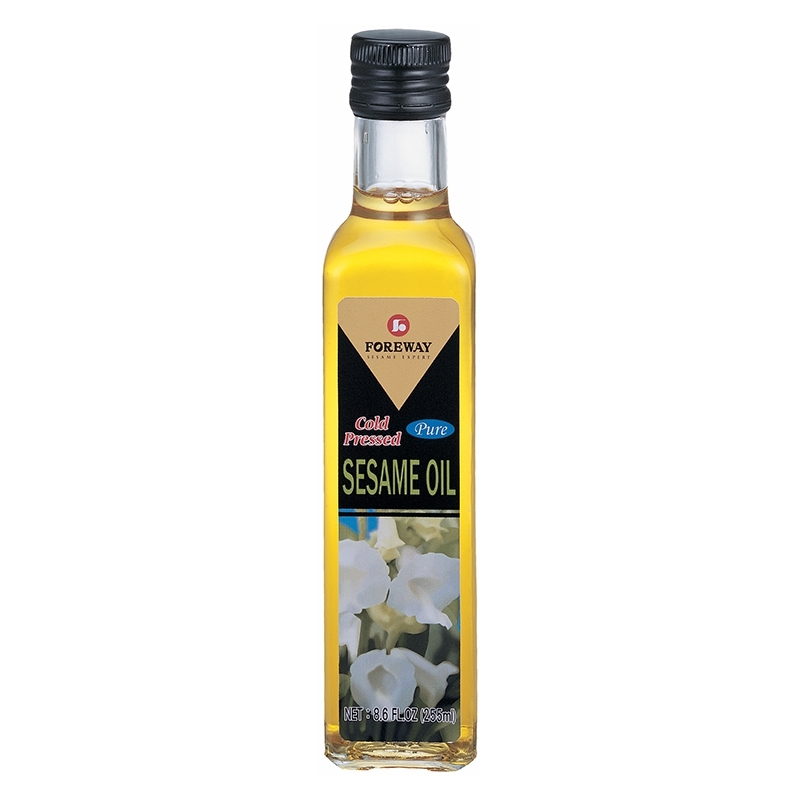 Cold pressed sesame oil had light color and charming smells, it is an excellent substitution for olive oil. A few drops for stews or as oil for stir fry recipes enhance the food's flavor and nutrition. Foreway's cold-pressed oil is roasted and pressed under low temperature, which can retain the original and best sesame aroma and quality. No strong aroma means it goes well with any kind of dish like salad and can be used as dip for French toast or other bread and bakery.